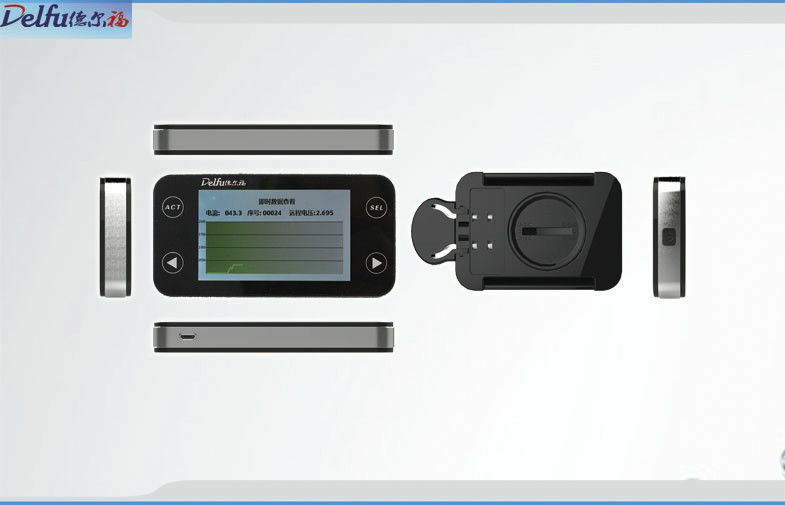 Delfu Continuous Glucose Monitor System(CGMS), a wireless transmitter sends information from a glucose sensor to a monitor, provides glucose control data and helpful alerts, helps clinicians to make therapy recommendations and treatment decisions for their patients. Transmits sensor measured glucose levels every 5 minutes, 24 hours a day, for up to 72 hours continuously. Real time records and displays glucose value and trend graphs. High and low glucose alerts to help patients take proactive control. Downloadable glucose data histories from the device into Delfu CGM software, provides information analyzed by the healthcare professionals making treatment decision. Combined with insulin pump to deliver precise amounts of rapid-acting insulin. Connects with Glucose sensors MMT-7002C, which inserted under the skin, measures glucose levels continuously, transmits updated glucose values every 5 minutes for up to 72 hours. Fingersticks are required to calibrate the glucose sensors, fingerstick testing along with CGM provides far more accurate information than fingerstick testing alone. 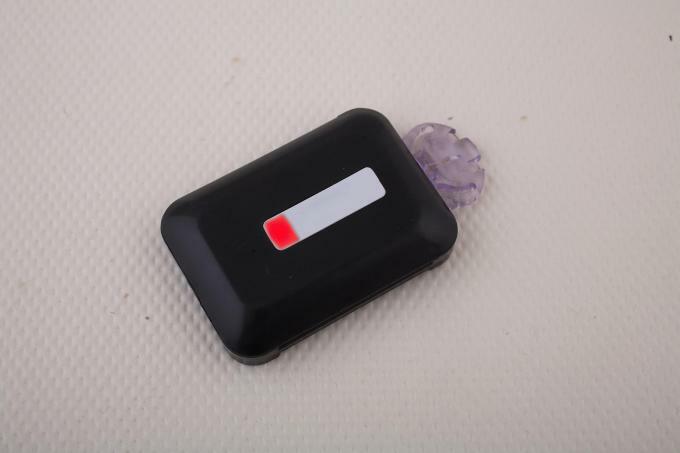 24 hours continuous glucose monitor(CGM) can not miss vital data points. Wireless connected to Delfu Glucose Monitor, records glycemic variability, sends to monitor, real time displays glucose data with trends graphs. Transmitter maintains 3 hours data in case disconnected to the monitor to avoid data loss. Real-time displays current glucose value and trend graphs, so patients can have a complete look at his glucose patterns and self-manage his diabetes quickly. Takes readings every 5 minutes 24 hour a day, providing a more accurate understanding of glucose readings then infrequent BG meter readings. Records 12 data per hour, 288 data per day, maintains up to 14 days history measurements information. Measurements records can be downloaded into PC Delfu CGM software for data management, analysis and diagnose. The range of 3 meters away between monitor and transmitter has no impacts to data transmitting, 3 hours durable at this extreme case. Strong magnetic environment might interfere data transmitting. Easy to use menu navigation. The monitor suspends data for up to 10 minutes continuously. The sensor suspends or expired. Monitoring Memory is full, usually alerts at 10 days monitoring, stops receive data at 14 days, reminds download data. Trend arrows show the direction and rate of glucose changes, enabling preventive action. Trend information allows users to address fluctuation in glucose levers, which can impact the development of long-term diabetes complications, such as eye, nerve, kidney and heart disease. Trend graphs reveal the effects of diet, exercise, insulin and medication on glucose levels. CGM works with Delfu software for patient management and analysis. 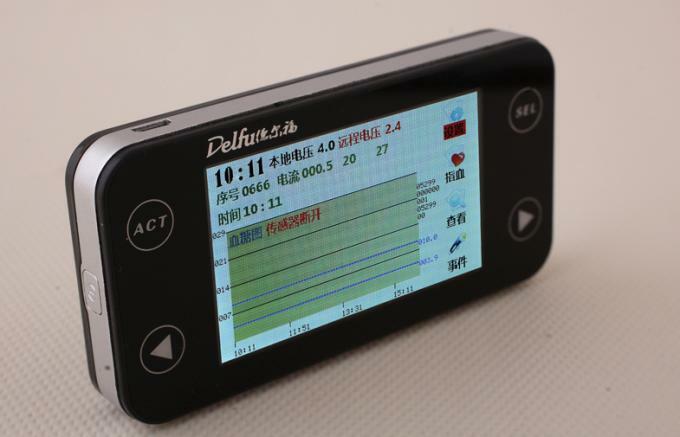 Delfu CGM can benefit a wide range of patents with type 1 and type 2 diabetes, provides helpful tools for clinicians to take proactive controls for diabetic. Delfu CGM provides patients with more complete information than fingersticks, they can receive frequent updates glucose levels and warnings and lows and highs. Improves the outcome of patients using intensive insulin therapy. Significant reduction in duration of hypoglycemic events. Real time feedbacks to facilitate immediate decision making to improve glucose control and treatment effects. Worn on belt, in pocket or under clothing, convenient for patient’s easy lifestyle.